HomeProducts Plaid ® Wood Surfaces - Shadowbox Houses, 2 pc. 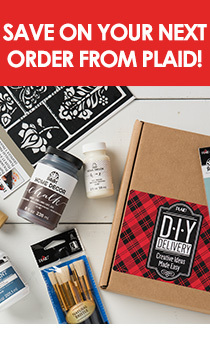 The 2-piece Shadowbox House set from Plaid is ideal for all types of creative projects—painting, decoupage, stenciling, mixed media, and more. The high quality, lightweight wood features a smooth finish, ensuring great performance with any of our acrylic paints, Mod Podge decoupage finishes, stains and painted finishes, wood-burning, or a combination of techniques. Size: 8" x 8" and 6' x 6"